Value Orientation Program For Students is an event that took place on 11-Jan-2006 in Hyderabad. Morals, values and ethics can definitely not be imbued in a few hours of classes, which is why the instructor or the guru matters. Sometimes learning is about being in the presence of a more evolved soul, and not just about words and lectures. Well, where else to pick up Value Orientation from then, than at the Vivekananda Institute Of Personality Development? Swami Shreekantananda will take a few classes during this 6-hour workshop for young people. The remaining will be conducted by reknowned professors from various educational institutes in Hyderabad. 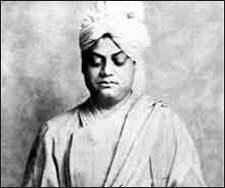 The five classes include meditation, time management, personality development, cultural values and a message from Swami Vivekananda. Breakfast, lunch and tea will be served during breaks, and anyone between16 years and  25 years can register by paying a sum of Rs. 75 at the venue. The program will start at 9:00 in the morning. For more details, please contact 2762-7961. It's good to keep pace with speed and the philosephy of life that we all are living thesedays , but as Indians I feel that we should never forget our roots ,this is one guy who passsed on our ancient wisdom to multiple continents, a lecture on his work would inddeed be worth it . Pls try and attend . fullhyd.com has 700,000+ monthly visits. Tell Hyderabad what you feel about Value Orientation Program For Students!